After I started blogging regularly, I began to receive questions about running a blog. Sometimes people are curious how the whole “blog thing” works. Others wonder if I make any money. I’ve also been asked, “is it worth it?”. Besides general curiosity, a lot of people wonder how to start a blog, grow a blog, and maybe even make an income from blogging. Well, because I LOVE talking about blogging and want to share what I know, I’m kicking off a new ongoing series dedicated to blogging. 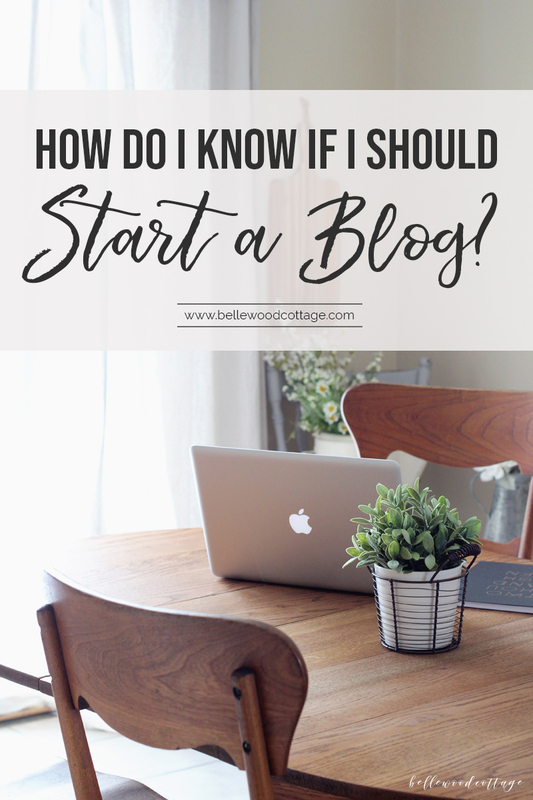 In this post, I’ll share some things to consider if you’re wondering, “should I start a blog?”. 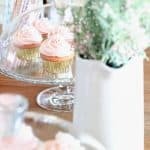 Whether you want to document your home reno, share family recipes, or just create an amazing side-hustle, a blog might just be the answer for you. 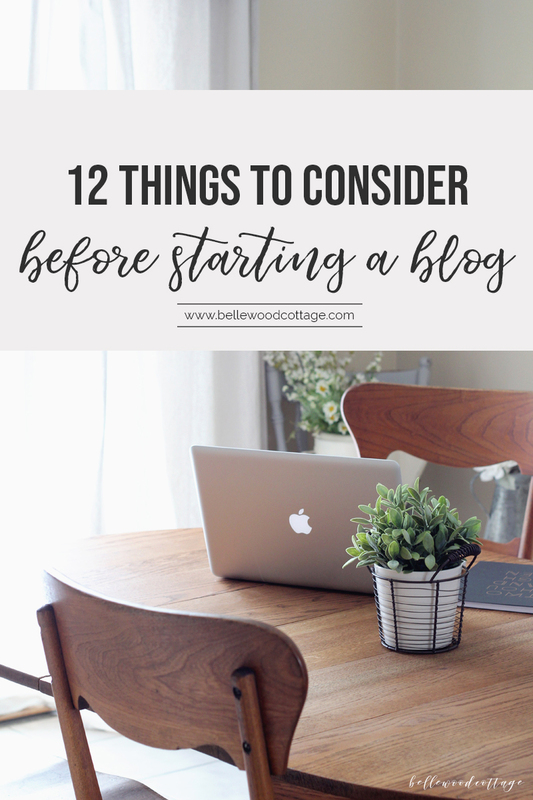 So if you are asking yourself, “should I start a blog?”, then here are 12 considerations before you dive in! 1 – Have a little free time. If you start a blog you’ll discover quickly that posting consistently can be time consuming. 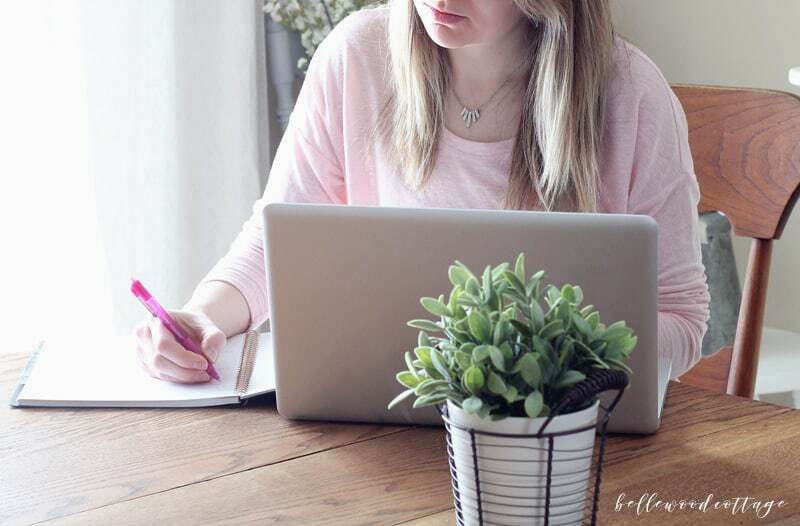 Blogging often means taking precious weekend hours to write up posts or edit photos. The beautiful thing is that you can spend as much or as little time as you would like, but bear in mind that the more time you can invest, the more quickly you will grow! 2 – Have a clear goal in mind. Whether you are hoping to replace your day job with a stay-at-home income, or just share your passion for baking/home decor/shoes/you name it, it’s important to know WHY you are starting. This goal will keep you focused and help you make the tough decisions that will come your way as you blog. 3 – Want to start a blog for more than the money. I will be honest, sometimes I come across blogs that are clearly just in it for ad revenue, sponsorships, or affiliate income. This bums me out. These blogs aren’t adding value to the internet (and p.s. they usually don’t end up retaining readers or making much money anyway). Have a higher goal in mind. As you spend your time and money developing an online platform, make sure that your site has the potential to add value to the life of anyone who might come across it. 4 – Love to write. Some blogs of course are totally image-based, but at some point you will want to share more about yourself and the purpose of your blog. Writing well isn’t always easy, and you will want to enjoy the time you spend writing and rewriting posts as you constantly improve your craft. Yep. The current blogging scene is ALL about images (and now video too!). That’s not to say you can’t be successful if you choose not to use photo/video, but it will be a very uphill climb. 6 – Don’t mind keeping up with social media. I’ll be the first to admit, I don’t always like social media. But, it’s kind of a necessary evil if you are going to blog. My advice? Pick your favorite channels and focus there. 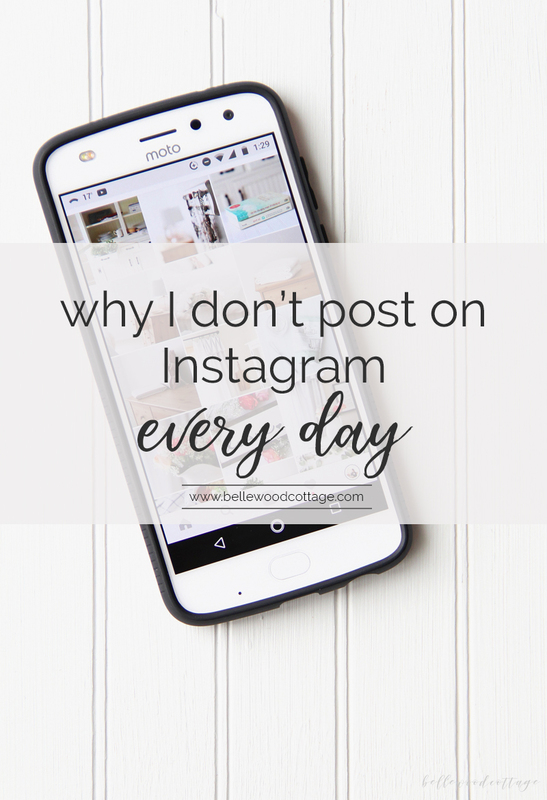 I maintain a presence on Facebook and Instagram, but skip pretty much all the others. 7 – Have a passion you want to share. So, you’re a pro at making lefse? Share it up! Maybe you bake the best cakes in all the land? People love cake. We need more cake. Blog it, friend. Or, perhaps you hit up the library basically every day to read the latest novels? Review ’em on your blog. Sharing your passion will keep your blog interesting for you and your readers! 8 – Want to help others learn a new skill. This is another avenue you could take. Some of the best blogs are dedicated to teaching others. 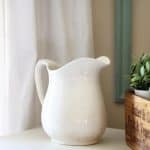 One of the reasons Pioneer Woman skyrocketed to popularity is because when she started blogging it was really unusual to post step-by-step photos of recipes. She teaches others how to make amazing food and her audience loves her for it. Share your skills and teach others. 9 – Have something to add to the conversation. Let’s be real. Probably aaall the muffin recipes that could be possibly be thought of are floating around on the internet. So maaaybe we don’t need more muffin recipes (actually, I would never say that. I love muffins). 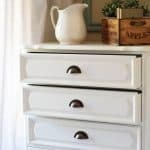 But, even if there are innumerable blogs that cover your chosen niche, it doesn’t mean you can’t have a dynamic, interesting, and unique blog. Figure out that new angle that will add to the conversation and keep people compelled by what you have to say. 10 – Are willing to learn some new skills. The modern blog often must be as impeccable as a professional magazine in order to be seen as legitimate. But generally, you’re limited to a staff of one. This means you need to be writer, photographer, stylist, graphic designer, editor, videographer, social media expert, marketing team, and on and on. Most of us won’t start our blogs with all of those skills in hand, so be prepared to learn! 11 – Understand that “making money” might take a long time and a lot of work. There are plenty of people asking, is blogging dead? I don’t believe it ever will be, but it has changed and will continue to. Carving out your space in the internet will take time and likely be challenging. Blogging isn’t a quick fix or easy income. Expect to put in some serious time and effort before you think about quitting that day job. When you write that first amazingly stellar blog post that you just KNOW will break the internet…and about three people read it…it’s a sad moment. BUT. I promise, if you keep going, keep writing, and don’t give up, your blog will grow. It might feel like it’s taking forever, but with a little patience, you will meet your goals! So, ready to start a blog? 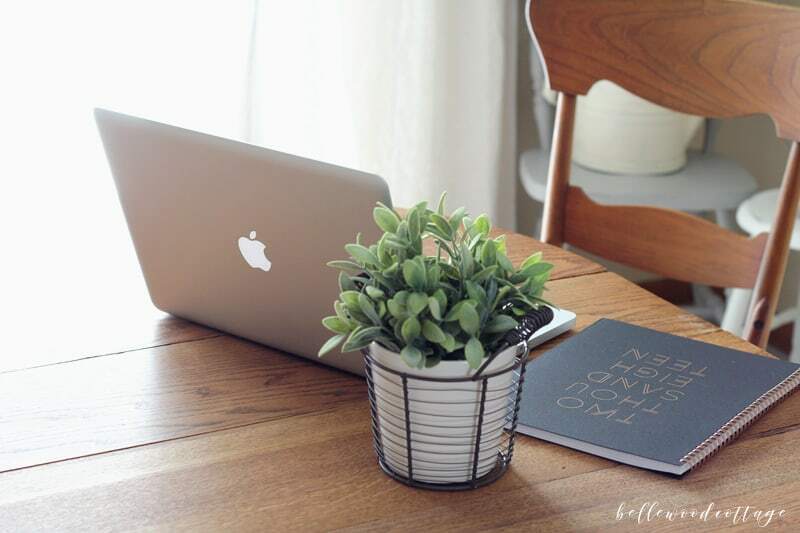 I hope this list gave you plenty to think about as you consider starting a blog! 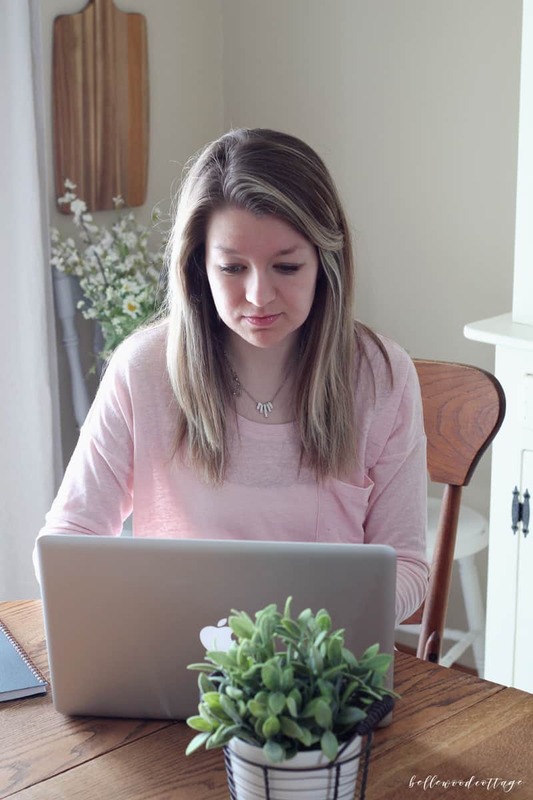 Starting a blog is definitely an adventure, but if you decide it’s right for you, I think you’ll love it. I’d love to hear any questions you might have about blogging. Again, talking about this stuff is my fav, so I’m excited to keep writing this ongoing series. Thanks for stopping by today!